BLAM! 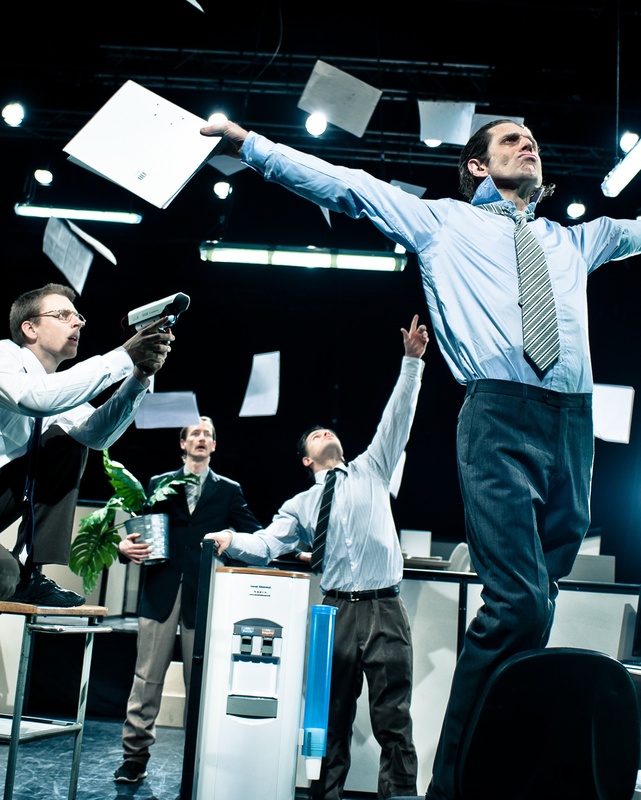 explodes mundane office life into a wild and crazy action movie world. A wordless performance taking physical theatre to new heights of innovation. BLAM! is already achieving international success having played Edinburgh, London’s West End, Italy, Denmark, Iceland, Netherlands, Finland, New Zeeland, South Korea, Istanbul, Barcelona, Beograd, Bogota. The demand for the show continues.